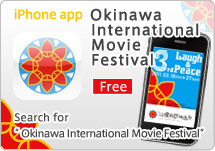 “Laugh & Peace” has been the common theme of the Okinawa International Movie Festival since its inaugural year, and the feature-length program has a Laugh category and Peace category. Following the principle of “making you laugh or feel happy after watching,” the feature-length program will screen 11 titles in the Laugh category and 12 titles in the Peace category. In addition to 14 titles selected from countries around the world, there will be three titles directed by a Yoshimoto comedian and seven movies produced by TV stations which will be made through a collaboration between Yoshimoto Kogyo and the variety show production staff from the TV stations. Votes from judges selected from all over Japan and visitors who attend screenings will determine the winners of the biggest audience award—the Uminchusho Grand Prix winner in the Laugh category and the Uminchusho Grand Prix Winner in the Peace category. There will also be five international judges who will select one winner from the two categories combined for the special judge’s prize, the Golden Shiisa Award. All feature films screened at the festival are eligible for the following awards. The jury, as selected by the organizers, will award a special prize to one film from each category. 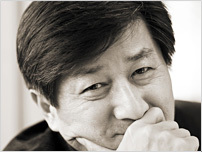 Born in 1955, Lee Yong-kwan graduated from the Chung-ang University Department of Film Studies and its graduate program. 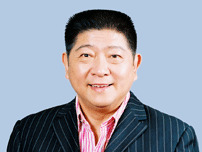 He went on to teach at the Kyungsung University in the School of Theater and Film, and successively became a member of the executive committee for the Grand Bell Awards, executive committee chairman for the Seoul International Short Film Festival, head programmer for the Pusan International Film Festival, and director of Cinematic Pusan. Presently, he is active as the executive committee chairman for the Pusan International Film Festival and professor at the Chung-ang University Department of Film Studies. Born 1952. Han Chinese. As the most popular comedy star in China, Wang is Chinese National First Class Actor. Now he is chairman of China Folk Art Association and commissioner of Shanghai Charity Foundation.One of his major cinema works is “Shanghai Fever”. He is also highly appreciated for his comedy stage acting. 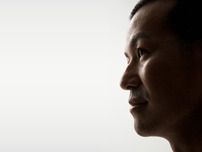 Taiwanese Film director, TV drama director and writer. His best known works include “MY HISPERING PLAN”, and “LIKE A HERO”. 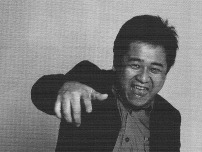 His works, TV dramatizations of Japanese comics “The Rose”, “It Started with a Kiss”, and “Sweet Relation” became big hits in Asia. These works triggered for world attention to Taiwanese TV drama. 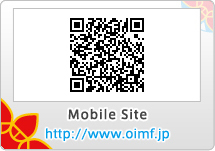 Born in 1973 in Itoman City, Okinawa Prefecture. After graduating high school, he moved to Hawaii to study where he started teaching himself pointillism.Returned to Okinawa in 1995. Entered Okinawa Prefectural University of Arts Department of Design and Crafts.Worked as designer/ brand producer after graduation, and started working as a pointillist from 2005. “life and nature” is a theme that consistently runs through Kiyota Oshiro’s pointillism. He materializes the messages of nature handed down from his Kaminchu (priestess) grandmother, and he creates his work with the aim of connecting people and nature through art.